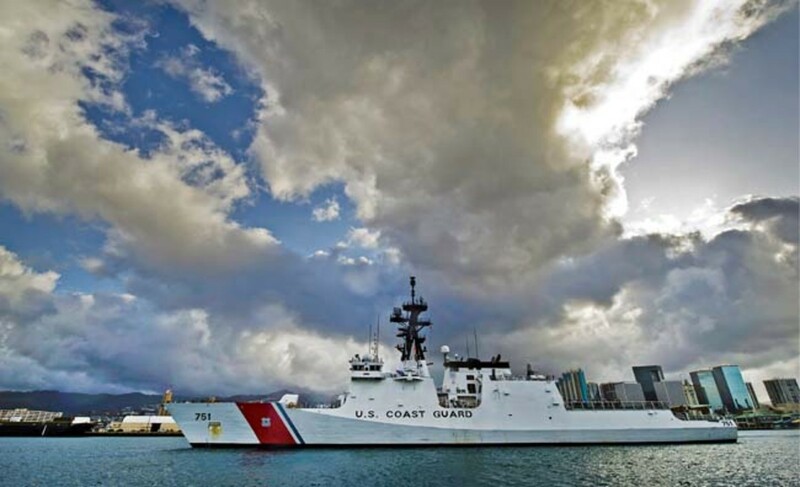 Coast Guard cutter Waesche (WMSL-751) pulls into Honolulu Harbor at Coast Guard Base Sand Island, Hawaii. The Waesche was there to resupply before joining the Pacific Command’s 7th Fleet for training with United States partner nations in the Asia-Pacific region. Sadly for the Coast Guard, this case was one of dozens in which the service seemed unrecognizable to the public it served. In the intervening years, however, the service has experienced a rapid shift from mistaken identity to an instantly recognizable brand. Today, mariners in distress understand exactly who is arriving to help them, owing in large part to the prominent orange stripe painted on every Coast Guard vessel and aircraft. 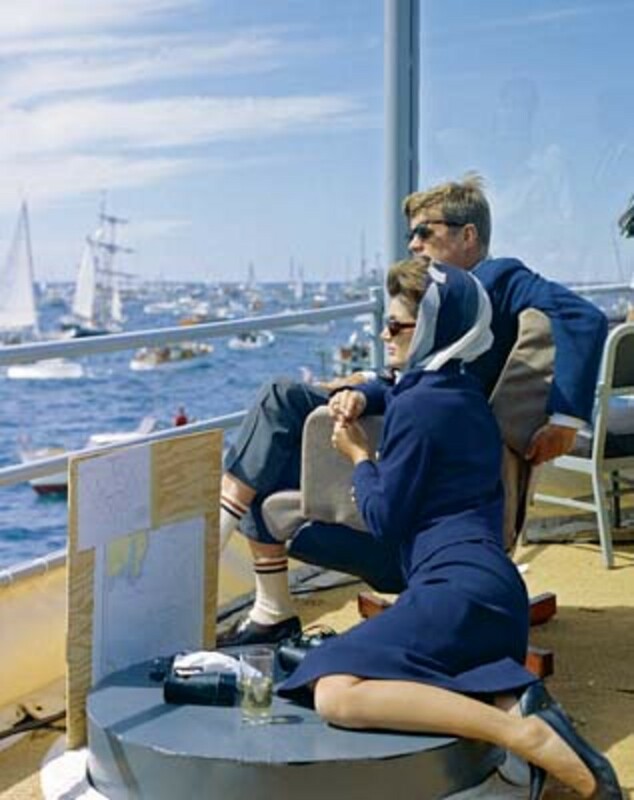 Jack Kennedy was acutely aware of the importance of imagery, having relied heavily on image building in his successful 1960 presidential campaign. When they moved into the White House in 1961, the president and first lady began an effort to reinvent the image of the presidency. With the aid of professional designers, first lady Jacqueline Kennedy redecorated the White House interior. The Kennedys also met with architects to direct the design and renovation of buildings surrounding Lafayette Square, a park located next to the White House. Jack Kennedy relied heavily on image building in his successful 1960 presidential campaign. President Kennedy next undertook a redesign of the presidential jet Air Force One. 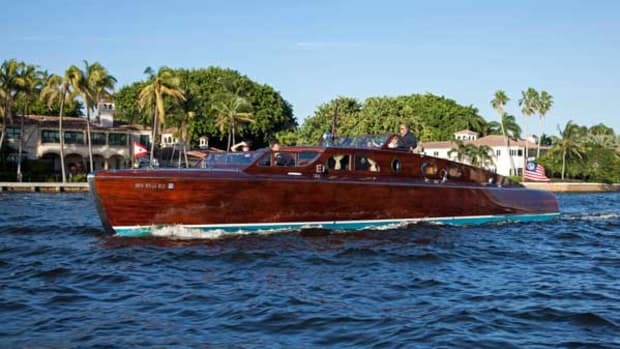 Kennedy believed an initial design and paint scheme provided by the Air Force appeared too regal. On the advice of the first lady, he turned to French-born industrial designer Raymond Loewy, whose work had been recognized the world over during the postwar period. Loewy’s Air Force One design won immediate praise from Kennedy and the press, and the aircraft became an important symbol of the president and the United States in official visits across the country and overseas. Delighted by the look of Air Force One, Kennedy granted Loewy’s request for an appointment on May 13, 1963. 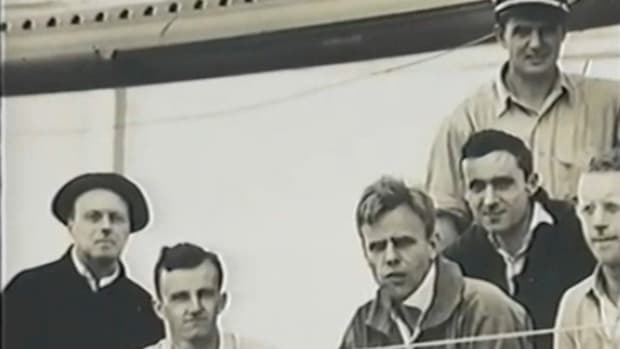 During the meeting and another the next day, the men discussed improving the visual image of the federal government, and Kennedy suggested Loewy start with the Coast Guard. 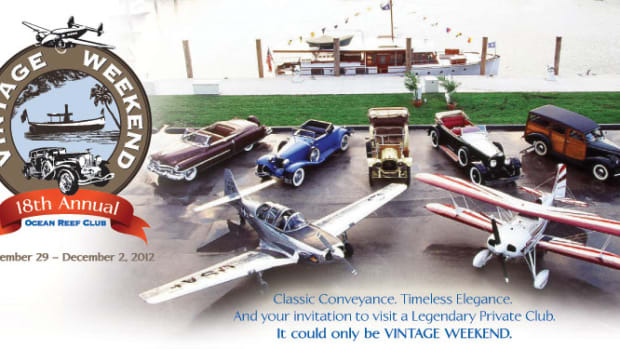 Shortly after the meetings, the design firm of Raymond Loewy/William Snaith, Inc. received a contract for a 90-day feasibility study. In January 1964, the firm recommended the Coast Guard adopt an identification device similar to a commercial trademark—a symbol readily identifiable from a distance, easily differentiated from other government or commercial emblems or logos and adaptable to a wide variety of air and sea assets. 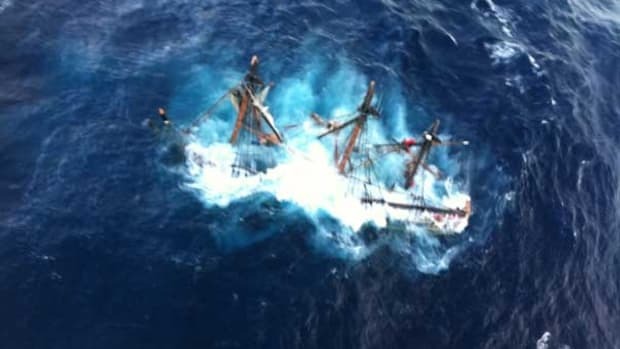 [VIDEO EXTRA] Watch a Coast Guard helicopter race against time to rescue crewmembers of the replica HMS Bounty as she founders 90 miles offshore during Hurricane Sandy. CLICK HERE and fly into the heart of the storm. The effort became known as the Integrated Visual Identification Program. During the prototyping process, Loewy/Snaith suggested using a wide red bar to the upper right of a narrow blue bar canted at 64 degrees and running from right to lower left. 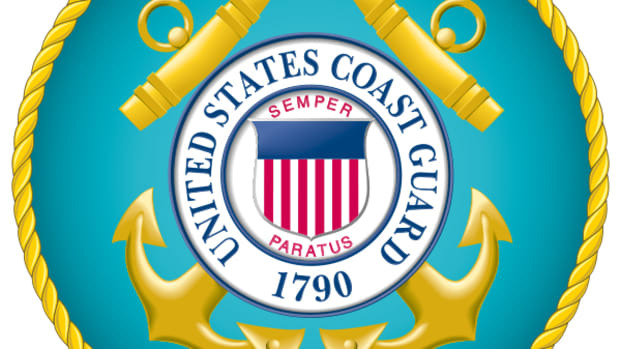 The Loewy/Snaith team designed its own stylized version of the traditional crossed-anchor Coast Guard emblem for placement on the center of the red bar. Within the service, the design became known as the “racing stripe” or “slash” emblem. The service tested the racing stripe design using cutters and facilities in the Coast Guard’s 7th District, in Florida, because of mild weather conditions and the variety of sea assets stationed there. Coast Guardsmen painted the prototype slash on the cutters Diligence and Androscoggin as well as a buoy tender, service vehicles and buildings in Miami. At North Carolina’s Air Station Elizabeth City, crews affixed the slash to a Sikorsky HH-52 helicopter, a Grumman HU-16 “Albatross” amphibian and a Lockheed HC-130 “Hercules” fixed-wing aircraft. During the prototyping process, the Coast Guard decided against the Loewy stylized shield and opted for the service’s traditional shield emblem instead. While the plan received the stamp of approval, details were ironed out during the initial rollout. By early spring 1967, most outstanding issues had been resolved, including the lettering font and paint color specifications. On April 6, 1967, Coast Guard Commandant Edwin Roland issued an order that formally ended four years of design study and experimentation with wide implementation of the Integrated Visual Identification System. The adoption of the racing stripe initially met resistance from the Coast Guard’s service culture, however, during the late 1960s and early 1970s, the symbol appeared on every maritime and aviation asset in the service. 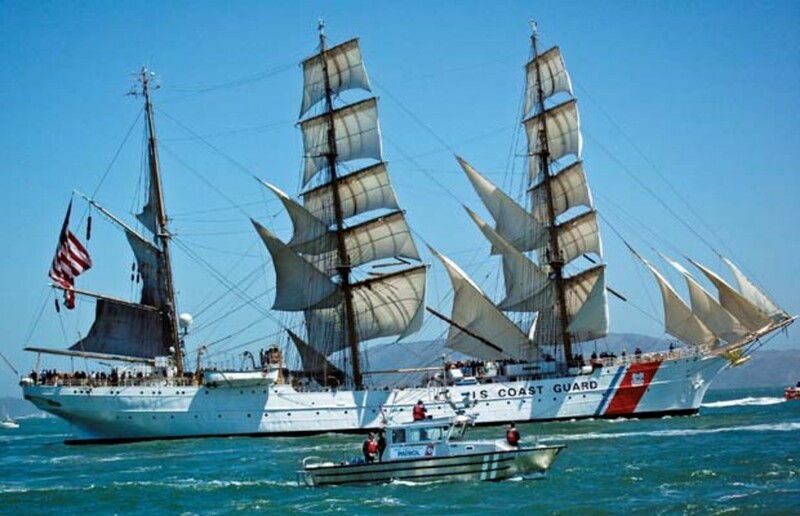 By 1975, the Coast Guard’s sail training ship Eagle was the last service asset not sporting the emblem. Traditionalists had long held that the racing stripe would destroy her classic lines, but with preparations underway for Operation Sail 1976 to celebrate the nation’s bicentennial and Eagle to serve as the host ship, Coast Guard leadership saw an opportunity to present the service’s brand identity to the world. By the opening of OpSail ’76, the racing stripe was applied to Eagle’s hull, and the emblem received the public stamp of approval when CBS news anchor, veteran sailor and OpSail TV commentator Walter Cronkite singled out Eagle and her racing stripe logo with approving remarks. Coast Guard auxiliary vessel Silver Charm escorts Coast Guard cutter Eagle, a three-masted sailing barque with 21,350 square feet of sail, during the Festival of Sail parade in San Francisco Bay. 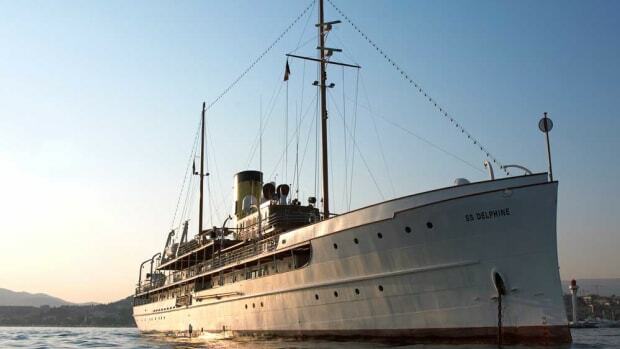 Commissioned in 1946, Eagle is the oldest ship of the U.S. Coast Guard fleet. 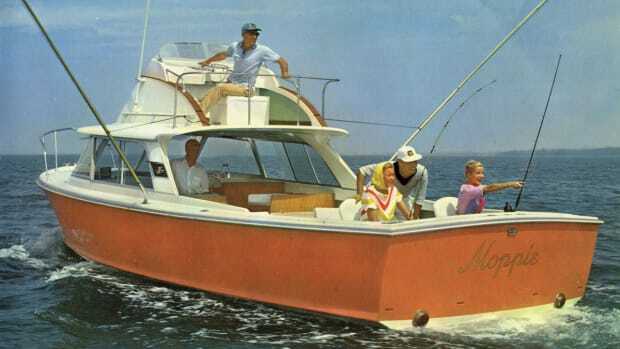 Since the 1970s, the Coast Guard racing stripe and color scheme has been applied even to assets not commonly associated with the service. With alterations in coloration and angle, the racing stripe has become a symbol for many sea service vessels at the federal, state, county and municipal levels in the United States; scores of foreign sea services have adopted a similar emblem. 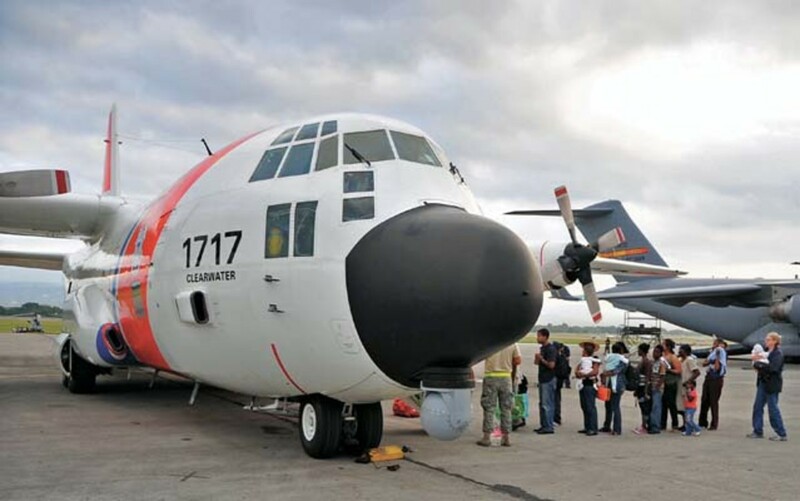 A Coast Guard C-130 from Coast Guard Air Station Clearwater, Florida, takes on Haitian-American passengers prior to an air evacuation to Homestead. During the past 40 years, the U.S. Coast Guard has served throughout the world and collaborated with foreign coast guards and sea services. 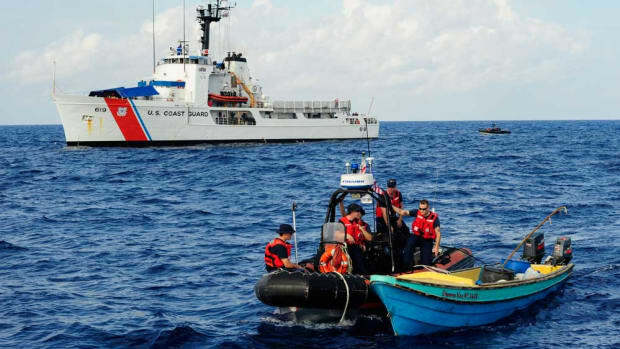 In recent operations, the presence of Coast Guard cutters with their racing stripe and traditional color scheme has proved a de-escalating influence in high-tension maritime missions. These include naval operations during Operation Iraqi Freedom and the 2008 deployment of cutter Dallas to the Black Sea during the war between Russia and Georgia. 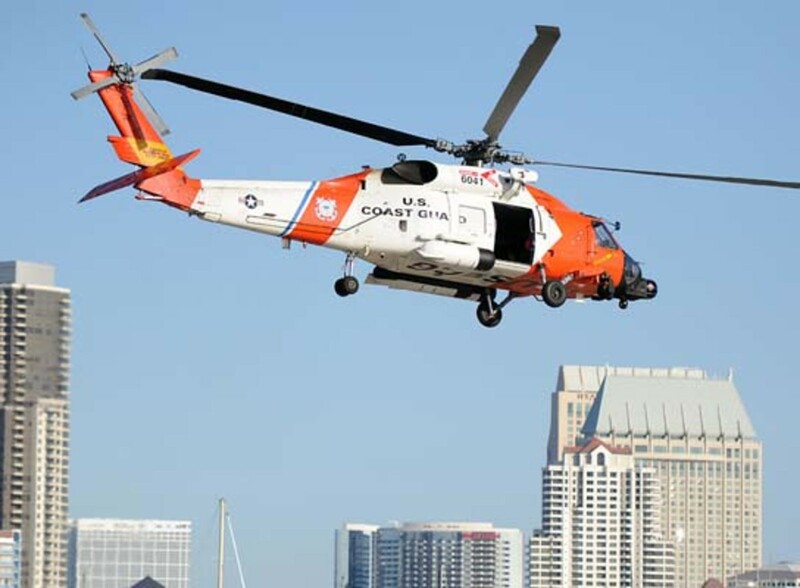 A Coast Guard MH60 Jayhawk helicopter hovers at Air Station San Diego. The Integrated Visual Identification Program stands as the most successful branding program of any federal military agency and possibly of any agency in the U.S. government. Where many could not identify the Coast Guard’s assets before it adopted the racing stripe, most individuals connected with the water do now. 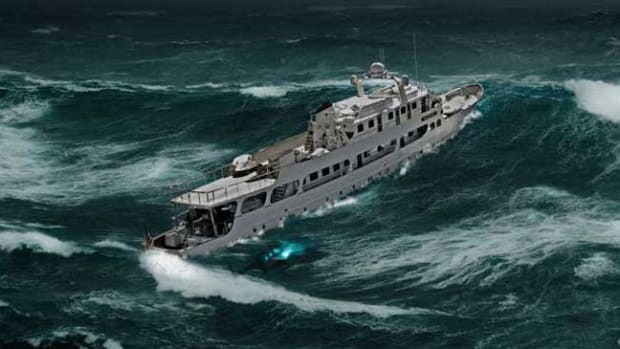 When victims on the water or in coastal areas see ships or aircraft painted with the orange slash, they can rest assured that help has arrived. For this, credit is due to a visionary president, talented industrial designers and service leaders who saw the importance of a brand identity for the U.S. Coast Guard. William H. Thiesen, Ph.D., is the Atlantic area historian for the U.S. Coast Guard. For more information: uscg.mil/history. A version of this story appeared in Sea History magazine in summer 2012.